Thank you for choosing to #SurgeForMore! Our annual #SurgeForMore online giving has truly become a time to appreciate the growth in support of this movement. Every year, more and more donors become a part of our community and show that they care about the mission to educate and develop leaders of color who create transformative change in urban education. This year’s campaign aimed to grow our community more than ever and brought with it our biggest goal to date: $50,000! In order to reach that goal, we established the #SurgeForMore challenge, in which teams of fellows and alumni were tasked with finding creative ways to engage their friends, families and networks with the movement that has been so important to their growth as leaders. All of the fellows and alumni brought their “A” game, telling their stories through videos and social media graphics, as well as offering up unique opportunities for donors. See examples in our video below! With a grand total of $45,931, we raised far more money than any of our past #SurgeForMore campaigns! We landed less than $5,000 from our goal and gained many new donors. Of the four cohort teams, 2017 Surge Fellows raised the most funds, producing a video series in which they called for support for our movement while lifting each other up as leaders. We would also like to acknowledge our 2016 Surge Fellows for finding the most creative way to #SurgeForMore, raffling off consultancy opportunities to anyone who donated in their name. Kudos to all of our fellows and alumni for taking up this challenge and uniting to serve the future of this movement! And an extra special thanks to our generous match donors! Two anonymous supporters provided $10,000, and we also received a match donation of $5,000 from Michelle Russell as well as $3,000 from Marene Jennings! If you donated during our #SurgeForMore seven-days of giving, thank you for your love and support of this work. We could not do it without you. If you did not, it’s never too late! Please visit our donate page and see how you can contribute. Any amount helps. Thank you for being a part of this movement, and have a happy holiday season! https://www.surgeinstitute.org/wp-content/uploads/2015/04/logo.png 0 0 Chris Paicely https://www.surgeinstitute.org/wp-content/uploads/2015/04/logo.png Chris Paicely2017-12-18 05:42:052017-12-19 13:09:34Thank you for choosing to #SurgeForMore! Erica Bauer never set out to be an educator, let alone an education leader or a Surge Fellow. 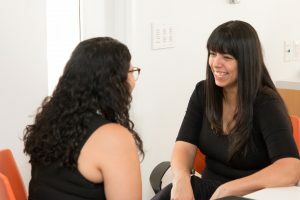 Her journey to school leadership came through discovering her true passion, and her journey to Surge came from a desire to connect with leaders who looked like her. Erica designs systems of support as the Director of Student Engagement of a multicultural high school in the heart of Chicago – Walter Payton College Preparatory Academy – ranked the 2nd best high school in Illinois, according to US News and World Report. Erica has been asked why she wanted to become a Surge Fellow when she was already a leader at one of the best schools in the state. She says it has to do with learning how to move beyond the deficit-based culture she grew up in so that she could become a stronger leader for her students. Erica Bauer defines herself as an analyst, artist and activist. She is a recovering military brat, now based in Chicago, whose travels led to her “multicultural moment” — one must serve the whole person, mind, body, spirit, while embracing one’s multiple, co-existing identities. Erica works to ensure that no student receives the whitewashed education she received as the only African-American woman in her master’s and doctoral programs. The Surge Institute is encouraging Oakland-based emerging African-American, Latinx and Asian/Pacific Islander education leaders to apply for the inaugural Oakland Surge Fellowship, a program that provides extensive executive skill training, leadership development and exposure to respected leaders and policymakers in education. Leading the Oakland Fellowship as the founding Executive Director is career educator Michelle Seijas, Ed.D, who has served as an education leader for more than a decade as a high school principal and district administrator. Michelle is passionate about serving youth and communities of color, and carries that passion with her into elevating and empowering Oakland’s emerging education leaders. The Surge Fellowship began in Chicago in 2015, with the goal of expanding diversity in the education leadership pipeline. Since its launch, Surge has graduated 47 Chicago fellows, many of which have since risen to leadership roles in schools, government agencies and youth-serving organizations. The Chicago Fellowship currently empowers its largest and most diverse cohort of 25 fellows. The fellowship is curated to generate both individual and collective transformation through healing and a reclamation of our leadership narratives, centered on the power and strength of our racial and ethnic identities and how they supremely qualify us to impact the communities and students we serve. Visit the Become a Fellow page to learn more about the fellowship and to apply. Sign up for the Surge email list to stay informed about the fellowship and upcoming events. You can also follow Surge on Twitter, Facebook, Instagram, LinkedIn and YouTube. 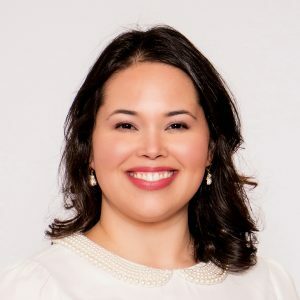 The Surge Institute, a non-profit organization geared toward prioritizing the need for diversity in education leadership, founded by Carmita Semaan in 2014. Surge is largely funded by individual donors as well as several philanthropic organizations, including the Bill and Melinda Gates Foundation, the Chan-Zuckerberg Initiative and New Profit.